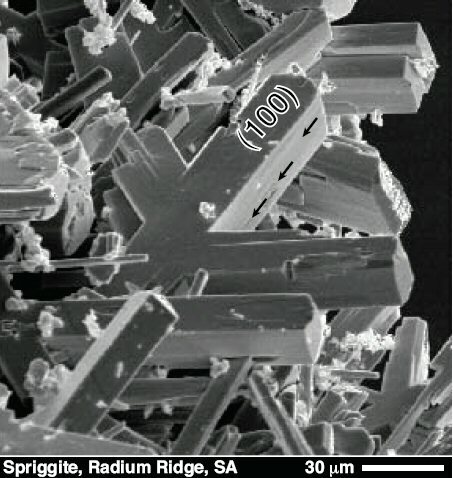 Comments: Secondary electron microscope image of spriggite crystals and twins. (AmMin, 89:341). Location: Number 2 workings, Radium Ridge, Northern Flinders Ranges, South Australia.